Our company began its success with our screen printed letters. Today we sell several different styles of Acrylic and Coro-Colour letters in multiple sizes. You can place an order with us by going to the Order Forms page, filling one out and sending it to us once completed. 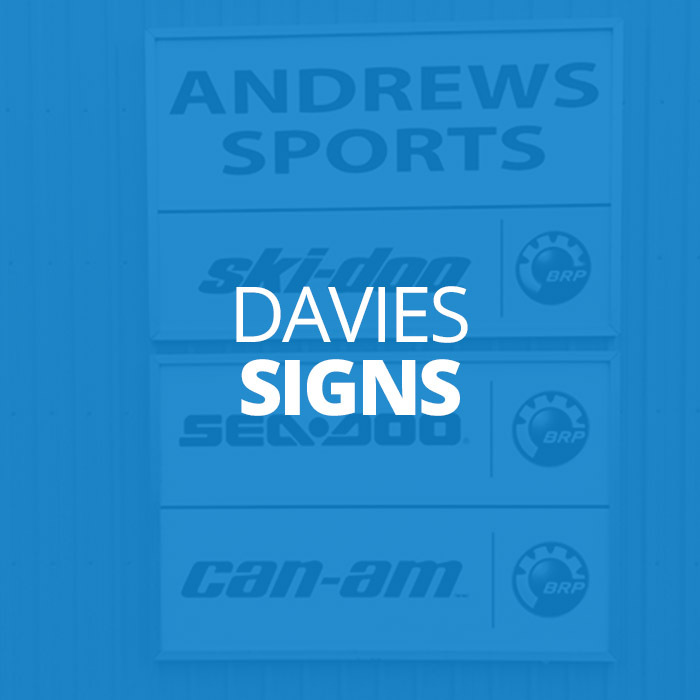 Since 1976, Davies Signs has served the residents and businesses of London & Area by providing many different signage services. 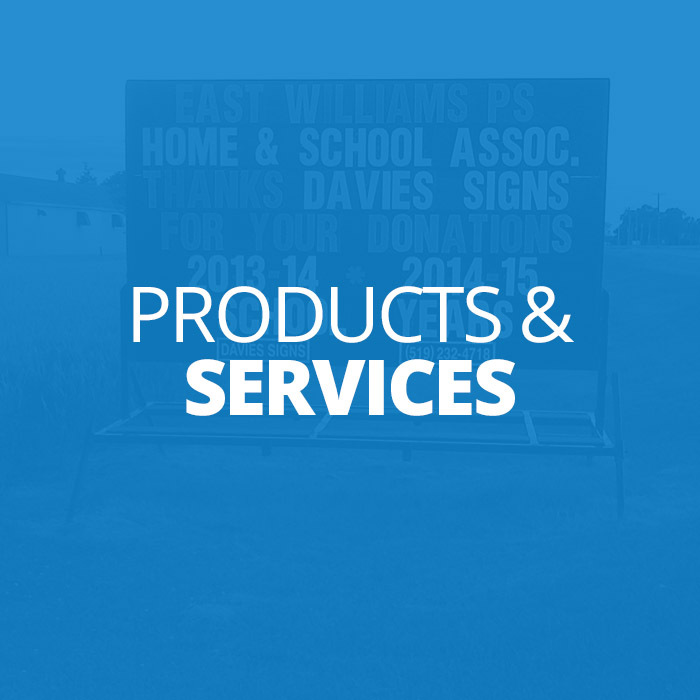 In September of 2000 Davies Screen Printing began supplying sign companies & distributors all across Canada with quality acrylic screen-printed letters. Our Acrylic & Coroplast letters shine against other manufacturer's products because our professional employees and high-quality inks produce a superior product. We can handle any volume ranging from small quantities for individual sign companies to large national accounts across Canada. 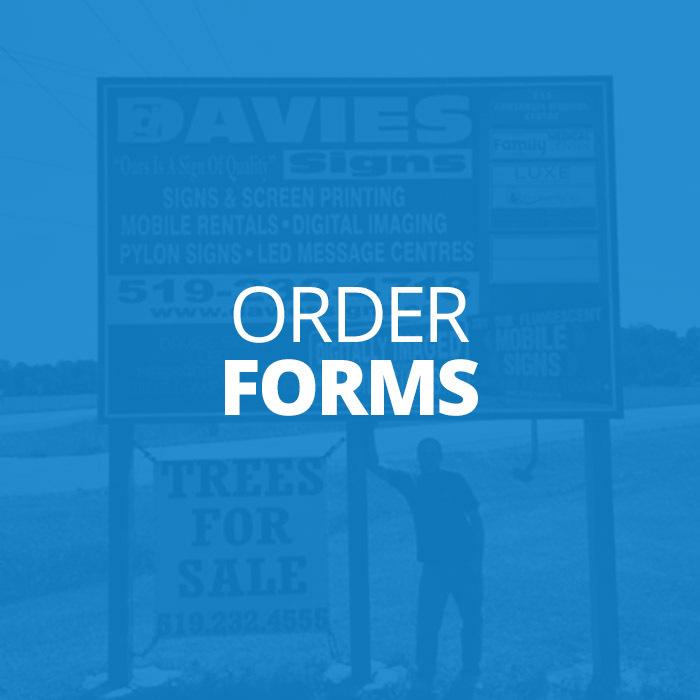 In September of 2000 Davies Screen Printing began supplying sign companies and distributors all across Canada with quality acrylic screen-printed letters. Since that time our business has expanded both in volume and variety and today we sit confidently as one of our nation's top-notch letter manufacturers. Our widespread success comes from a very simple principle: sell the best quality products at excellent prices. Today we offer a variety of products, and still use the same excellent production process that we started almost 20 years ago. The first step of the project is to gather all of the requirements so that we can gauge the scope of your project and needs. Davies Screen Printing can help you today with any of your screen printing needs. Printing acrylic and coroplast signs with the absolute highest level of quality.